We offer aquatic therapy in our private indoor pool. 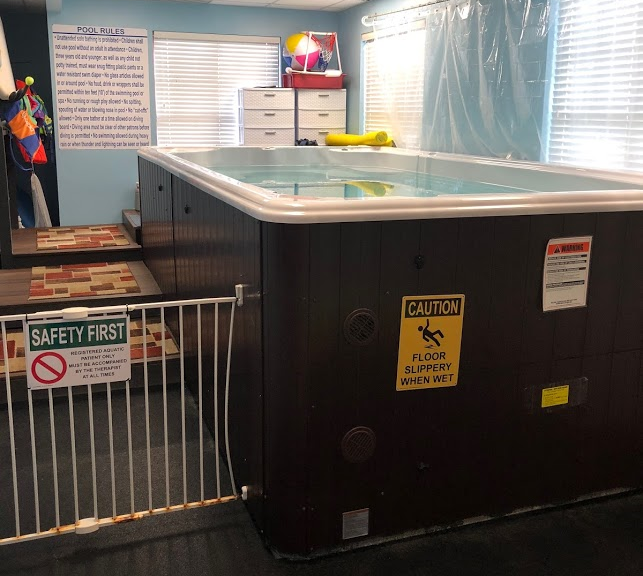 This therapeutic pool is kept at 94 degrees to provide an ideal medium for relaxation of tone and strengthening for children. This environment is also ideal for children who have arthritis or who cannot weightbear fully due to recent injury or surgery. It is equipped with jets to offer resistive walking and exercise. TOTS has a handicap accessible shower and a bench to assist in changing children after the pool. 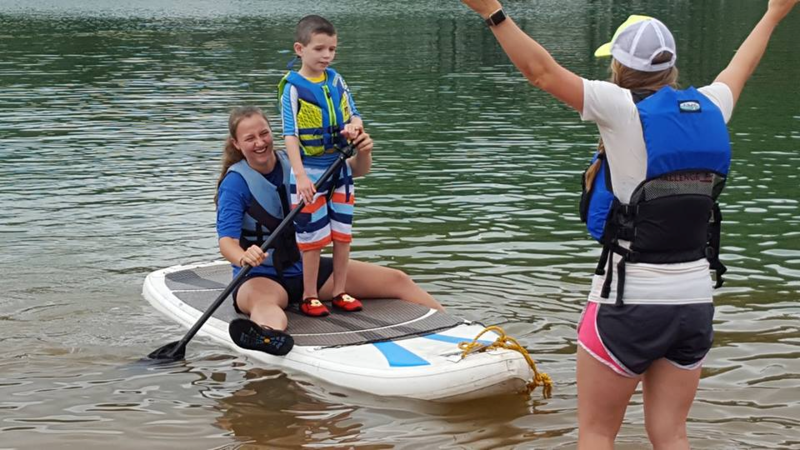 Dr. Steve Doran and Dr. Alyssa Walz started paddleboarding aquatic therapy at Van Pugh Park at Lake Lanier. Paddleboarding challenges balance, improves coordination, increases strength and improves coordination skills. The season is from May through August. This is a great opportunity for the children to try a new sport, enjoy the great outdoors and have a change of scenery from therapy at the clinic.